Today our community loss a real gem. Our friend Daisy Mae has gone to the Rainbow Bridge. I was there the day here mom took her from a local rescue as a foster, and like many of us, she became another foster failure. Daisy was rescued as senior dachshund and her family made certain her last years in this world were good ones. 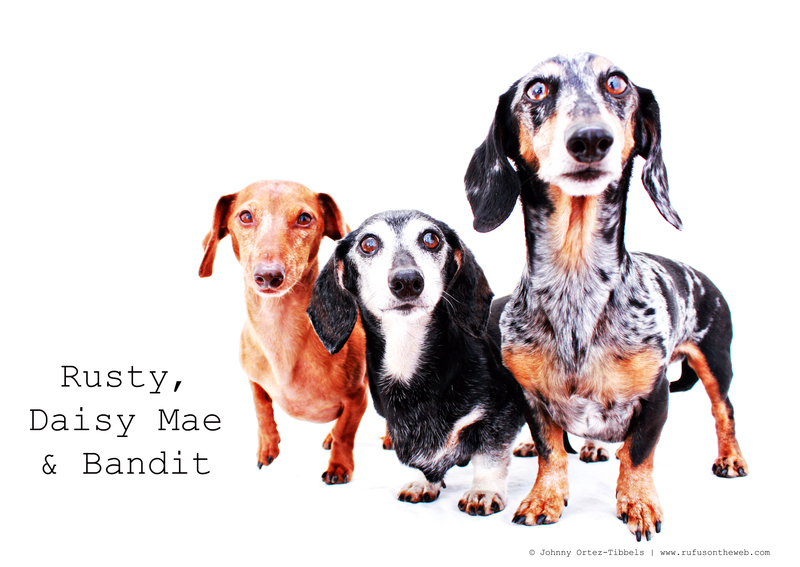 Daisy is survived by her pack mates: Bandit and Rusty, and will be forever memorialized in our book 102 Dachshunds. Rest in peace friend. You will be missed, but never forgotten. This entry was posted in 102 Dachshunds and tagged #dachshund, #RIP #RainbowBridge, #smooth dachshund, doxies. Bookmark the permalink. Thank you to the family that gave her so much love in her elder years! I’m glad she went feeling loved and not at a shelter! So sorry for your loss….hopefully another rescue’s gain can become of it. We have 6 old and crippled fosters/rescues and I cry just imagining life without one of them! 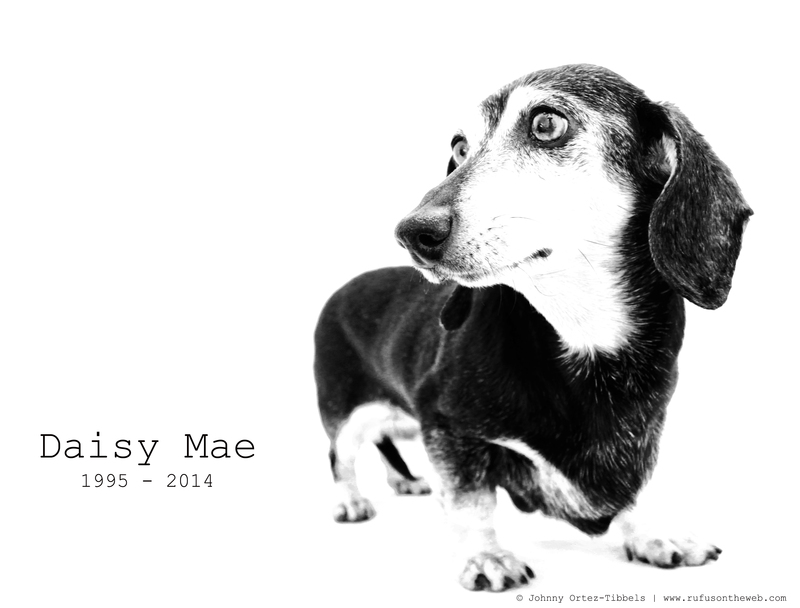 I know Daisy filled your life with joy and left a hole in your heart….may it be filled with love. RIP Daisy. I just lost my Heidi a few weeks ago; about a week after she turned 19 yrs. old. My kids picked her out of a litter when they were 7 and 10 yrs old. They are now 27 and 29. It was heartbreaking and I miss her everyday but I know she is at peace now.